Making money from Linux is no easy task. Sure, Red Hat has done extraordinarily well over the years, and after a few bumps on the road, SUSE is looking healthy as well. But, for every financially successful distro vendor out there, you can find 10 other companies that have fallen by the wayside. Think about Xandros, Lindows (aka Linspire), and Mandriva, just to name a few. Those distros all had their strengths and benefits, but ultimately there just wasn't enough consumer demand to keep them going. So, what have Red Hat and SUSE done right? Both companies started off with distributions aimed at hobbyists and home users – if you've been around the Linux world for a while, you may remember the chunky boxed sets with CDs and manuals you could have delivered by mail. But in the long run, Red Hat and SUSE have achieved success in large enterprises, providing long-term support and other add-on services for their distros. With Ubuntu, Canonical has tried to get a foothold in many markets: home desktops, mobile devices, servers, and (most recently) the cloud. Some pundits have accused the company of behaving somewhat erratically over the years, jumping onto the latest bandwagon but never fully committing to a specific market. Others suggest this was the right approach – dabbling in new territories to see where money could be made. Recently, Canonical has drastically reduced its involvement in mobile devices and convergence and now plans to focus more intensely on the cloud market, where it's the most popular operating system for virtual machines. Given this change of direction, we'll look at some highs and lows in the distribution's history to get more of a perspective of where it came from. We'll also look at some important spin-offs and what the future could hold. Many distros start life as one-person, part-time projects, but Ubuntu was different. From the start, in 2004, it enjoyed the backing of a man with deep pockets: Mark Shuttleworth. Having made $575 million from selling his digital signature company (Thawte) to Verisign in 1999, Shuttleworth ended up as an exceptionally rich geek, looking for new goals to achieve and projects to start. In 2002, he became the world's second space tourist, spending $20 million for a trip on a Russian Soyuz spacecraft to the International Space Station. What prompted Shuttleworth to start Ubuntu Linux and Canonical? Well, he had previously been involved in Debian GNU/Linux – on which Ubuntu is based – back in the 1990s. In early 2004, he went on an icebreaker voyage to Antarctica, bringing with him six months of Debian mailing list archives. Shuttleworth sifted through the mails, identified potential employees for his new company, and contacted them on his return. And Ubuntu was born. Now, I remember being rather unimpressed by the first version of Ubuntu – 4.10 – in late 2004. It wasn't a bad distro per se, but it was largely a vanilla Debian setup with some newer packages and a bit of desktop polish. It didn't have its own distro-specific tools (like SUSE's YaST configuration system or Mandriva's for-the-time extremely snazzy installer). No, it was just a passable Debian spin-off. What did capture our attention, though, was the marketing. Shuttleworth invested $10 million into the distro, expressed his commitment to free and open source software, and worked on Ubuntu's branding and presentation. It wasn't the first distribution to be pitched as a mass-market desktop operating system, but with the financial backing, it could do a lot more. For instance, Canonical offered free CDs of Ubuntu from its website: End users without fast Internet connections (or CD burners) could receive shiny, well-presented disks in the mail, without paying a penny. Long-time Linuxers could pass on these "ShipIt" CDs to other potential users. Consequently, it didn't take long for Ubuntu to build up a small community of followers. Even though the distro didn't have lots of custom features, it pretty much just worked, taking a reliable Debian base and providing a pretty decent out-of-the-box experience. 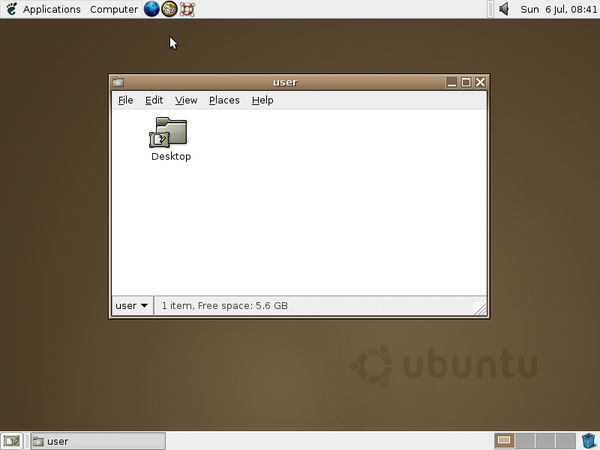 The very early releases of Ubuntu used a rather low-key brown color scheme – like in Figure 1 – but Ubuntu 6.10 brightened things up considerably, as you can see in Figures 2 and 3. Another attractive aspect of the distro at the time was its regular release schedule. Every six months, almost without fail, a new version would be available – with new features, updated packages, and other bits to play with. Many distros had battled with "it's ready when it's ready" syndrome, which often helps to improve stability but can cause huge delays that put off users (and potential contributors). Canonical also designated some Ubuntu releases as "LTS" – meaning "long term support." Whereas most versions were only supported with bug fixes and security patches for 18 months, LTS versions received a whole five years of support (for server components). Similar lengthy support contracts had been available in other distros, such as Red Hat Enterprise Linux, but Ubuntu's LTS releases were easily available for all. As time went on, however, Canonical made some decisions that furrowed the brows of many Ubuntu users (Figure 4). The distro started to feel less like a well-polished Ubuntu variant without massive changes to the upstream code and more like a very focused Canonical platform that just so happened to use freely available open source software. Figure 4: Earlier releases of the distro focused on "humanity" – the original definition of the word Ubuntu. Another Canonical-backed technology that caused a ruckus in the community was Upstart, a replacement for the aging SysVinit boot system that had long been used by most Linux distros. Upstart was designed to be more flexible and event-based, responding more elegantly to hot-plugged hardware and network events. It was initially released in 2006 and included in Ubuntu soon thereafter – and a few other distros (e.g., Fedora) adopted it as well. In our opinion, Upstart was a pretty good piece of technology: It could run classic SysVinit scripts, so it was fairly easy to grasp and still felt very much Unix-like. Ultimately, though, it lost out to systemd – the mightily powerful (but arguably much more complex) boot and daemon management system that has since been adopted by almost every major distro. Additionally, Canonical started to make changes to the default software. It created a new Software Center to replace Synaptic (and the various other package managers doing the rounds). Gimp was dropped from the Ubuntu 10.04 CD in favor of the simpler, but feature-limited, F-Spot, which in turn was replaced by Shotwell in Ubuntu 10.10. Then came Unity. 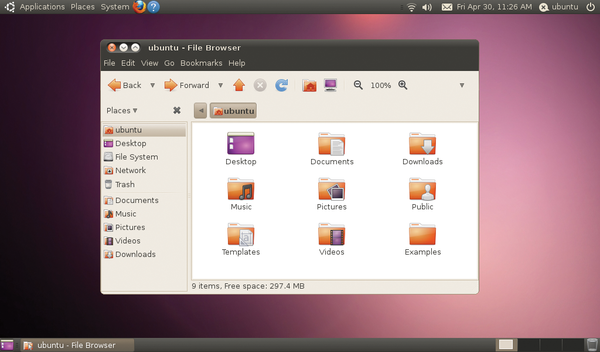 Since the birth of the distro, Ubuntu had used Gnome as its default desktop environment – but with Ubuntu 11.04, that changed. Unity, a home-grown desktop shell from Canonical, was criticized as being "beta quality" and "rushed." The regular Gnome desktop was still available in the login screen as "Gnome Classic," but some long-time Ubuntu fans were dismayed that Canonical would make such a drastic change without more end-user testing. Subsequent releases of the distro provided smoother and more refined versions of Unity, and much of the initial anger subsided. Then Canonical managed to cause another kerfuffle in Ubuntu 12.10: the Amazon search lens. When using the distro, if you tried to search for something via Unity (like a document or an application), you'd also see results from Amazon via the "More suggestions" bar. This outraged many users who saw it as a personal affront and completely against the spirit of free software. Others argued that Canonical couldn't simply live off Mark Shuttleworth's megabucks forever and would need to become a healthy, profit-making company one way or another. We at Linux Voice remember the flame wars at the time. Shuttleworth defended the idea, saying "We're not putting ads in Ubuntu" and followed up with: "We picked Amazon as a first place to start because most of our users are also regular users of Amazon, and it pays us to make your Amazon journey get off to a faster start." He underlined the fact that search details were anonymized and sent via Canonical rather than directly to Amazon, but that didn't placate many people. This "feature" remained in place until Ubuntu 16.04, when it was disabled. Although Unity and the Amazon search results bothered end users, some developers were getting frustrated as well. The X Window System, the base graphical layer used by every distro since the early 1990s, was due to be replaced by something lighter, faster, and more suited to modern graphics hardware. Consequently, many long-time X developers were turning their attention to Wayland as a future replacement. Canonical chose a different route, however, putting resources into a home-grown display server called Mir. There were some valid technical arguments for this, but many in the community felt like Canonical wasn't being a team player and that, even though Mir was open source, it was an attempt to lock users and developers into a Canonical ecosystem. Shuttleworth hoped that Mir would be available to replace X in Ubuntu 15.10, but that never happened – and it never became the default in any Ubuntu release. Since Canonical's change in direction (more on that in a moment), Mir has a questionable future; Shuttleworth says "the code continues to receive investment" for embedded devices, but it will probably never be used on desktop PCs. Throughout the mid-2010s, Canonical had been striving to establish Ubuntu as the ideal "convergence" operating system – that is, a single OS that works well on everything from smartphones and tablets to desktops and smart TVs. Imagine having a minimalist Unity interface on your phone, to do work on the move, and when you plug the phone into a large monitor the look and feel is still very much the same. Given that smartphones were becoming mind-bogglingly powerful, we could see the potential here. Canonical tried and tried, even getting a phone out of the door (Figure 5), but ultimately the duopoly of Android and iOS was hard to beat. On April 5, 2017, Shuttleworth wrote a blog entry that sounded positive on the surface (growing Ubuntu, excellent year for the company, etc.) but ultimately contained bad news for some people, saying "We will end our investment in Unity… We will shift our default Ubuntu desktop back to Gnome for Ubuntu 18.04 LTS." 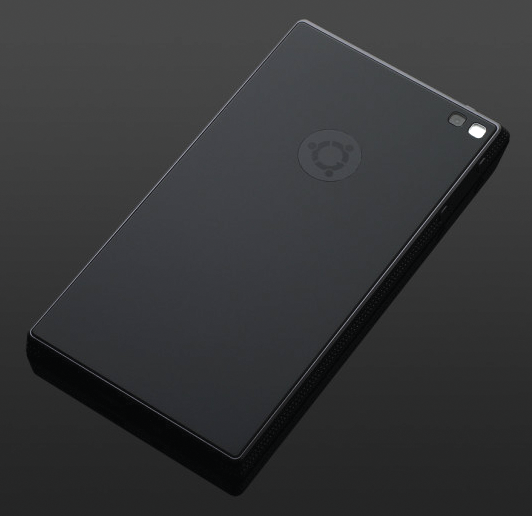 Figure 5: The Ubuntu Edge was a proposed smartphone that Canonical tried to fund on Indiegogo – but the target wasn't reached. After years of working on Mir, Unity, and related convergence technologies, Shuttleworth had had enough. He freely admitted that he was "wrong" to think his projects would be "widely appreciated both in the free software community and in the technology industry." You can sense the frustration and sadness in the blog post – after all, from Shuttleworth's viewpoint, he and Canonical had spent a lot of time and money trying to develop these technologies, making them open source, only for the market to largely ignore them. So, Ubuntu has a new focus: the cloud. Shuttleworth is adamant that the distro will still be well supported on desktops and laptops, but cloud infrastructure and Internet of Things (IoT) are the "areas which are contributing to the growth of the company." It makes sense to concentrate on these markets, given that Ubuntu is twice as popular as all other OSs combined on Amazon's Elastic Compute Cloud. But what's to come? We don't like peeking into crystal balls at Linux Voice, but we do suspect that Linux on the desktop has some mileage ahead. Yes, we know the jokes about "THIS will be the year of Linux taking over the desktop," and Windows isn't going anywhere, any time soon. But, with the massive WannaCry ransomware attack, forced upgrades to Windows 10, and governments becoming more aware that they should have control over their IT infrastructure, we hope Canonical still keeps working on end-user Linux distributions and doesn't just switch its attention to the cloud completely. You almost certainly know about Kubuntu, Xubuntu, and Lubuntu – versions of Ubuntu that use the KDE, Xfce, and LXDE desktops, respectively. But there are many others as well. Gobuntu  was a short-lived effort to make an Ubuntu-based distro that's based entirely on free software, so no binary blobs, firmware drivers, or other not-100%-free software was included. Once Gobuntu was shelved as a standalone distro, the option to install with only free software was rolled into the Ubuntu installer itself. Cubuntu  is a French distro that lets you "enjoy the best of the Cinnamon desktop" – which sounds rather cool, except that Linux Mint already does very much the same thing (and appears to be more up to date). A few religion-oriented Ubuntu flavors have appeared over the years, such as Ubuntu Christian Edition , which seems to have stalled with version 12.04, along with Sabily, which stopped development in 2011. Both provided extra software for studying religious texts along with additional parental controls. To read more about the myriad Ubuntu derivatives, see the wiki . Many of them have fallen into bitrot now – which is understandable, given that the majority don't need to be standalone distros, but could actually be implemented as post-install scripts that tweak some settings, add some packages, and remove some others.